When most of us think of a “Healthy Lifestyle” we associate it with eating a well maintained diet, drinking lots of water and staying active. What most of us forget is to take a look at exactly what ingredients are in the products we apply onto our largest organ, our skin. The daily products most of us use like soap, makeup and cologne can have harmful chemicals that can easily enter the bloodstream and cause significant damage. At Fertile Ground, we do our research in order to discover different types of products that everybody can use with peace of mind. That being said, we love Ilia Beauty products! Founded by Sasha Plasvic, ILIA has become a global brand with stores and products available all around the world. They are always transparent on what exactly goes into making each product. True Skin Serum Foundation, Polka Dots & Moonbeams Illuminator and Satin Cream Lip Crayon in the shade Dress You Up. The Lip Crayon applied beautifully and really lived up to its Satin Cream title. 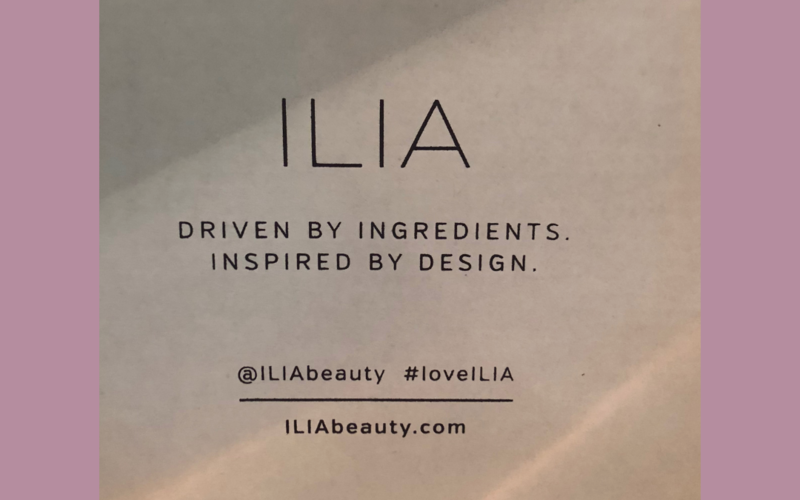 We highly recommend checking out any one of the wonderful products ilia beauty has to offer with peace at mind knowing what your buying and putting onto your skin. Products can be found at Base Coat and Aillea right here in Denver and also on the https://iliabeauty.com website.